Work with the team at Travel Dream West to customize itineraries for your own custom group tour of the USA West for a once-in-a-lifetime travel adventure. Private guided tours also available. Allow us to make your specific travel ideas a reality with our local expertise. Bring a group of interested individuals and we can customize guided tours to match the participant’s interests. From photography to bird watching, rock hounding to hiking we can create a tour that allows you to do the things you want to without the hassle of driving and planning for yourself. Alternatively allow us to customize a self-guided tour, complete with hotel reservations and itinerary. 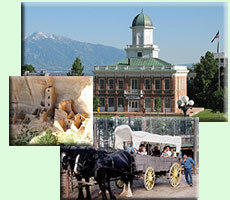 The Western United States is open to you- choose any route and we will design the custom group tours to make it happen! There are countless places of natural beauty, history and culture to be discovered. Experts can guide you on a unique tour route, designed for and with you. Combine parts of our standard tours or bring your own original ideas and we will help you plan the details. Do you want to photograph landscapes and cities of the West? Bring a group of interested individuals on our guided tours and we will provide the transportation and the plan. A guide with a degree in Photography will take you to exquisite sites and can give you tips on how to capture that perfect image on a special photography tour. Whether your group is experienced or just starting out this tour will allow you to take some amazing photographs. Special attention is given in these guided tours so that you get to photograph during the early morning and evening hours- giving you the best light for your images. You can choose from many different photographic locations, or let us suggest an exciting itinerary. 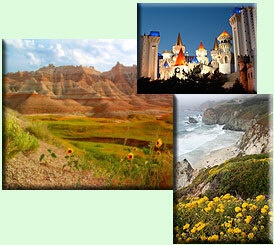 Hike the beautiful landscapes of the Western USA in one of our custom group tours. If you have a group of nature lovers that are interested in touring the countryside and going on a variety of hikes we have all the tour options you need. From easy to strenuous hikes up mountains, through flower filled valleys, to unique volcanic landscapes there is no shortage of scenery. And to add a bit of variety to your vacation we can include activities like white water rafting, canoeing, kayaking, caving and horseback riding for an all-inclusive adventure. Enjoy the marvelous natural scenery on one of these customized hiking and adventure tours, perfect for you club or organization. Focus on the birds – not on planning and driving. 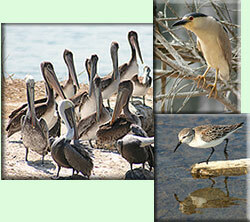 The team at Travel Dream West will work with you in designing a custom bird watching vacation tour. Bring your binoculars, your bird identification book and plenty of patience. We will work with you to plan your trip during spring or fall bird migrations. 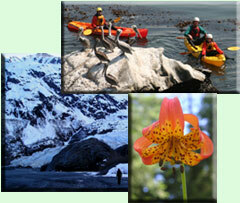 Or enjoy the many year-round inhabitants. On these guided trips you will see much more than just birds- beautiful landscapes and unique plant life, as well as other animals, will make this bird watching vacation a memorable experience. We will work with specialists to provide you with in-depth information, so contact us now and we can start planning your group adventure! Is your gem and mineral club looking for a unique, exciting experience? Do you need someone with insight and knowledge to guide your tour- perhaps someone with background in geology and insiders knowledge about great rock collecting sites? At Travel Dream West Tours we can customize a group tour just for rock hounds like you! 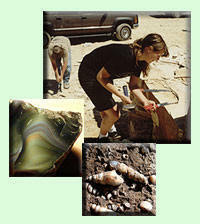 Dig for colorful obsidian in Oregon, sift for opal in Nevada, collect beautiful agates and jaspers, or split thunder eggs. Bring your rock pick, shovel and enthusiasm and we’ll provide the perfect sites for rock hounding. We know how much energy it takes to travel with children – so we are happy to customize guided tours for families. The West has a lot to offer for families looking for that entertaining vacation that leaves both kids and parents satisfied. 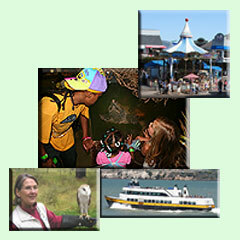 From unique children’s museums and lovely natural parks to aquariums, amusement parks, and much more there is always something to keep everyone busy. Do you have several families wanting to go on fun family vacation together? Our team at Travel Dream West would be happy to create custom group tours for you. There is no denying that the United States West has fascinating history. Whether you are particularly interested in Native American heritage and culture, cowboy country, or focused primarily on more modern US history, Travel Dream West Tours can customize a tour of the country just for you and your friends or club. You bring the participants, and we bring the comfortable mini-bus and informative guide. Contact us for more in-depth route information. Each state has something unique and special, from old architecture to the Oregon trail, or historic reenactments to contemporary historical settings.